Do you sometimes feel as if your partner is speaking disrespectfully to you? This could be a harsh tone of voice, as if you are simply an irritation to your partner. It could be a sarcastic comment or clear hostility. How do you generally respond to this? With defensiveness? With equal or greater irritability or harshness? Would you like to respond to your partner’s bad tone of voice with a demeanor as calm and cool as if you were responding to someone’s request for directions? I believe that I am disrespecting myself, if I stay in the room with someone speaking harshly for more than 20 – 30 seconds. I have a system involving an agreement that gives a partner a chance to correct or amend the disrespectful behavior. And, if there is recovery from an irritable moment; there is a path to simply leave the space. someone speaking harshly for more than 20 – 30 seconds. I like to give someone a chance to recover, or make amends for being disrespectful. But, if it is only escalating then leaving the room is my choice. 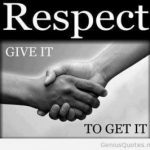 The Respect Agreement contains a mutual commitment regarding exactly how to proceed when one person feels that the other has been disrespectful. Download the 12 page summary and agreement HERE. condescending, hostile, sarcastic, controlling, mean, or disrespectful. 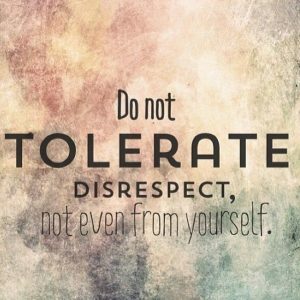 There are many ways to respond to a disrespectful ‘tone of voice.’ The ‘Respect Agreement’ contains a commitment from both partners to each other, that they will each seriously engage the other’s experience of feeling disrespected. There are five things to do when your partner calls you out for being disrespectful. The key premise of the agreement is that whenever either partner signals that the Respect Agreement is being invoked, the other partner commits to a process. If one partner cannot follow their commitments to responding respectfully when called out, then that partner is apparently ‘out of their own control.’ The five things to do are listed in the agreement. I can see you’re having trouble accepting ___________ . When you shift the attention to the problem described as the other having trouble accepting something, you are no longer subject to a boundary violation. The boundary violation occurring is that the other is trying to say that you shouldn’t think something; or shouldn’t feel something; or simply that you are wrong. But, if you are simply expressing thoughts and feelings you are NEVER WRONG. You are never wrong from the perspective that you did think this or feel that. Being hurt, angry, scared, sad; or simply having thoughts are true by definition. You DID think or feel these things. Sometimes it’s helpful to simply say the phrase to yourself, “At this moment I’m just having trouble accepting _________ .” This is a way of calming myself because I am identifying the ACTUAL problem. That being that someone is having trouble accepting something in this moment. I may have tried to cover too much territory, but I thought it was worth passing along these tips and helping you add some structure to how you handle conflicts. Weekend Workshop by adding yourself to the list HERE.